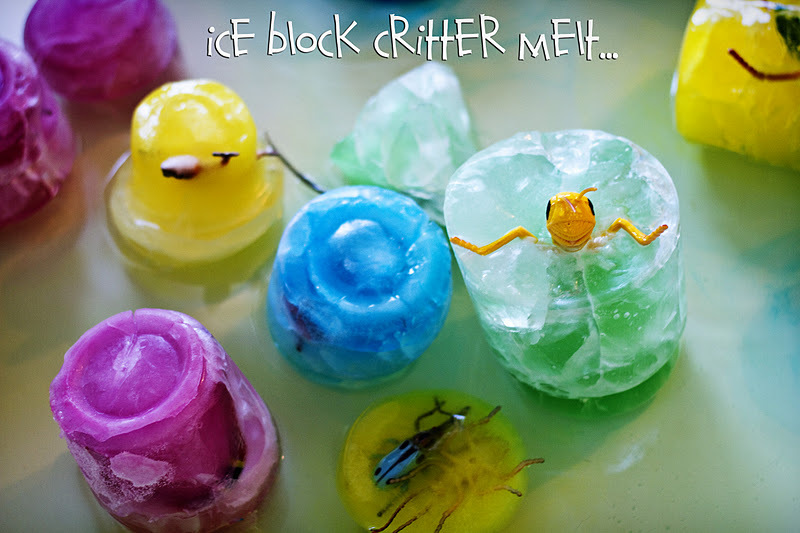 Ice Block Critter Melt…DAY 2 of Water Week! It didn’t take more than a few hours to freeze…as it was -47 degrees Celsius that day. Brrrrrr! 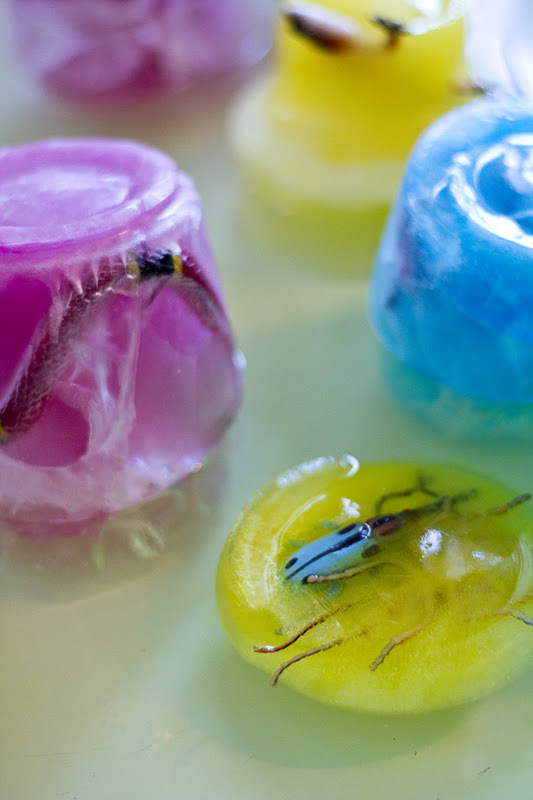 If you suffer (*wink) from a warmer climate, use your freezer and put them in the night before. 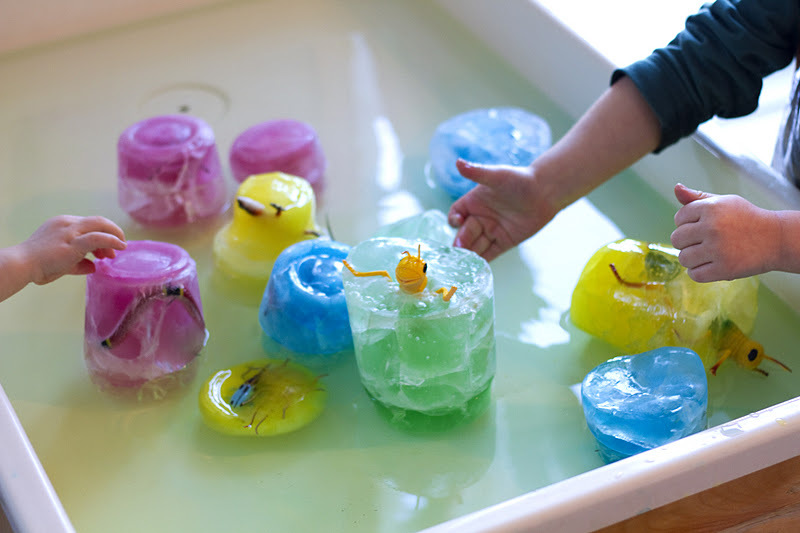 When they are frozen and you are ready to play, run the containers under hot water for awhile to loosen the ice blocks. 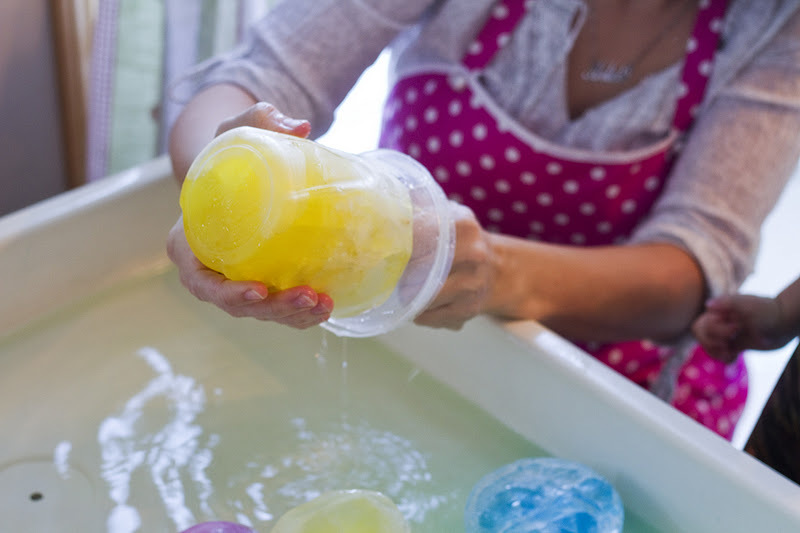 Drop them into a bin or water table already half filled with water. 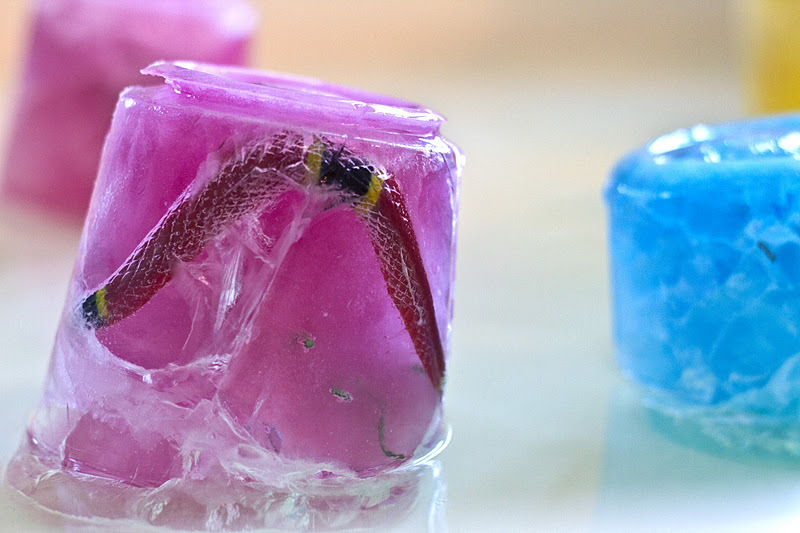 Here is a snake encased in ice…it looks pretty neat. 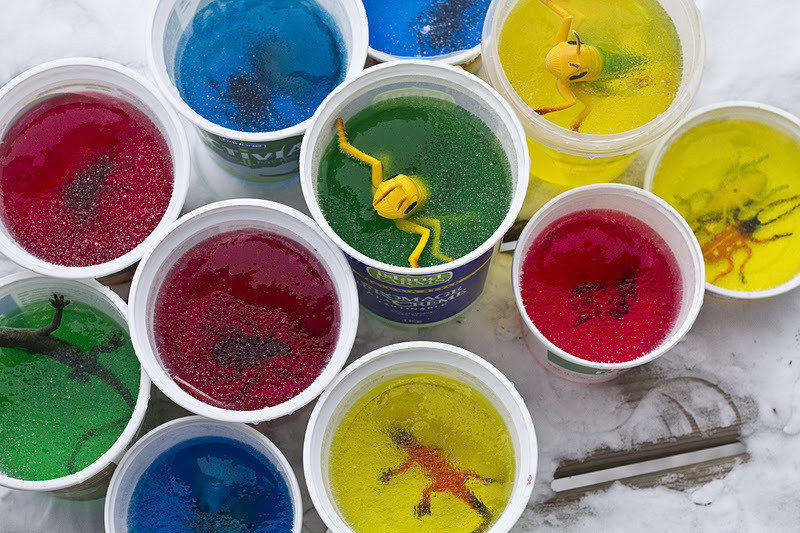 The children will love swirling the melting colors into the water, and watching the critters emerge from the ice. 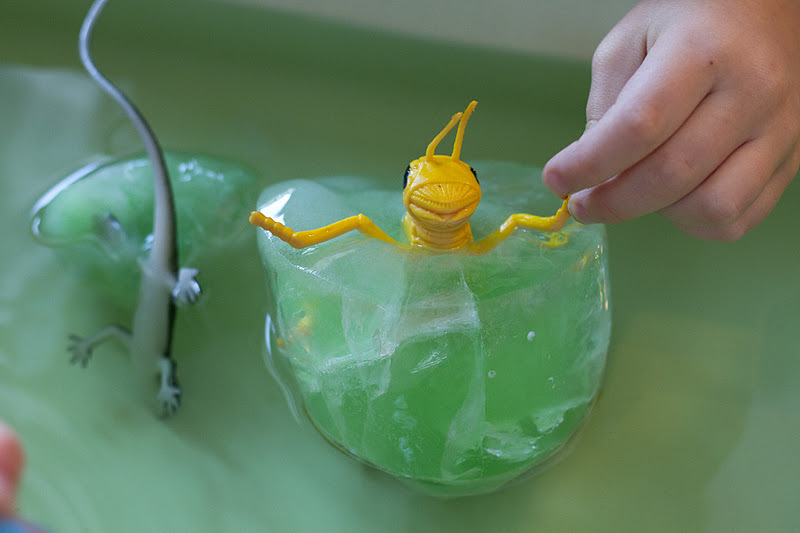 The kids in my house were squealing and giggling and carrying on…it was the noisiest “ice melt” my kitchen had ever seen! And it was such eye candy for ME! Have fun and enjoy! Maybe shake hands with a grasshopper while you’re at it! 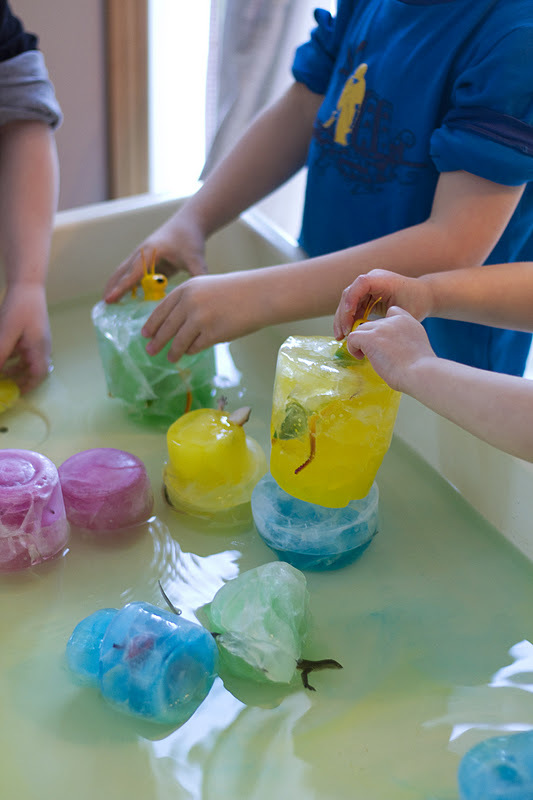 See you tomorrow for more water fun!